The productivity that CSHTML5 has brought feels like the good old days of Silverlight and managed to turn a few heads in the management team. I'm happy to report that I have a very satisfied client after a four-week build. The project includes visualizations of staff performance using complex radar charts (Polygons using Paths bound to objects with a range of custom Converters) and I'm delighted with how it performs. This IS the future. 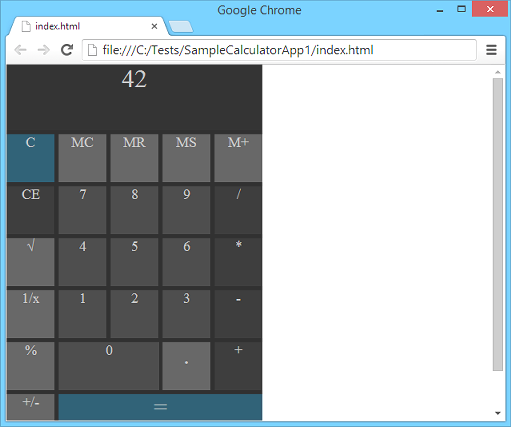 [...] This is the absolute best tool to hit Visual Studio and IS and WILL change the future of .NET and XAML. I am a huge fan, love the work, keep it up. 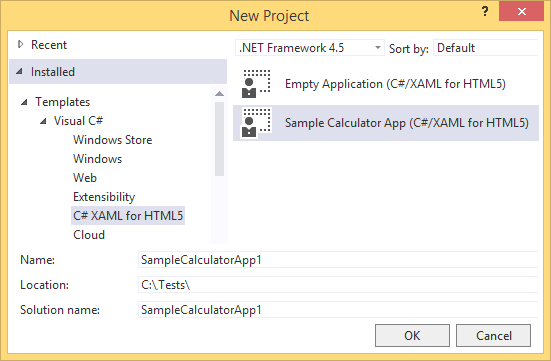 using the "New Project" dialog of Visual Studio. 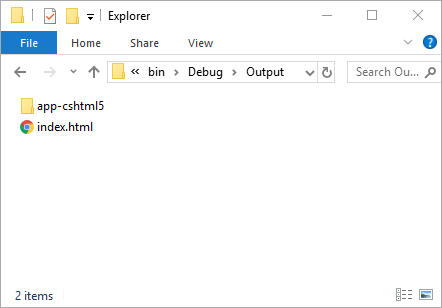 Choose the project type "CSHTML5 - Empty Application"
Migrating an app from Silverlight or WPF? 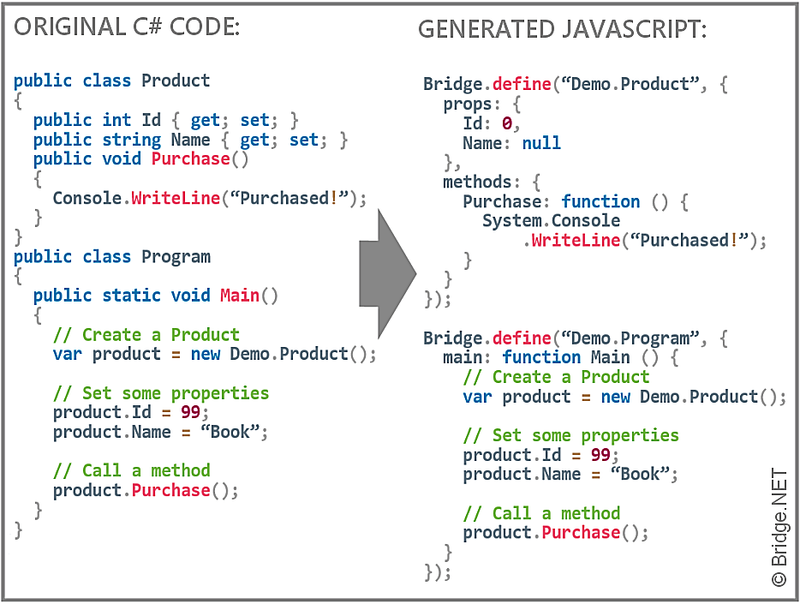 Looking for a great C#-based debugging experience? 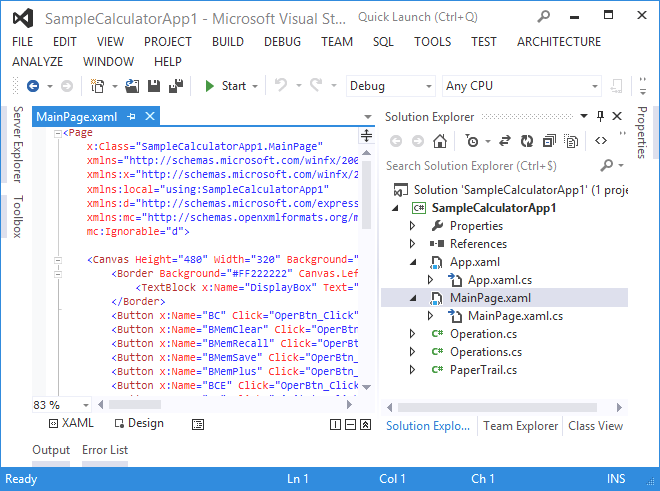 Most of the features that you are used to when developing .NET desktop applications are available in CSHTML5, including type safety, LINQ, Async/Await, Data Binding, WPF SOAP and REST, SignalR, IsolatedStorage, RESX, DataContractSerializer, XAML styles, User Controls, Interfaces, Inheritance, Generics, Namespaces, Event Handlers, Data Templates, Step-by-Step Debugging, Code Refactoring, Intellisense, Unit Tests, VS Source Control Integration, and so much more! cf. Which .NET types are supported? Because you write standard .NET code, you can share it between the client and the server, as well as with other project types, including UWP, Xamarin, WPF, ASP.NET, and more. The generated HTML/JS files are simple static files that run purely client-side without the need for any particular server (of course they can communicate with servers via WCF, SOAP, REST, WebSockets, SignalR, etc., like most desktop and mobile apps do), so your application can run out-of-browser (it can be packaged as a standalone executable via Electron, or as an app via Cordova/PhoneGap), and it can even run offline. New! 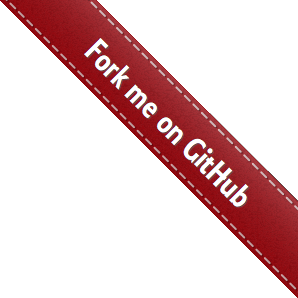 The product source code is available on GitHub under the open-source GPL v3 license, so you have everything you need to be independent forever and to have full control of the code. All the features are 100% free for hobbyists, open-source contributors, and academics, and an affordable commercial license is available for freelancers and organizations, which allows for commercial use, and provides best-in-class support and assistance.